The Duke is an awesome fun small to medium wave surfboard, designed with a massive concave - inherited from the Legendary Mako TT. First noticeable trait -Speed, it has an "Identity Crisis" im not sure if its a chop munching surfboard impersonating a raceboard or vice versa... its very fast in a straight line and rides quite low in the nose, the concave keeps it riding over choppy stuff really well and smooths out most of what onshore mush throws at you from every direction. The concave and volume arrangement get it up on the plane quickly, so will make a great light wind combo. Ridden with and without straps - the strap placement is nearly spot on, having taken careful note - for those crazy bigger days that we end up in. Turning the board is really interesting as it has its Tri 'future' fin setup, very close together on the tail and a fairly straight rail with the deep & long concave. 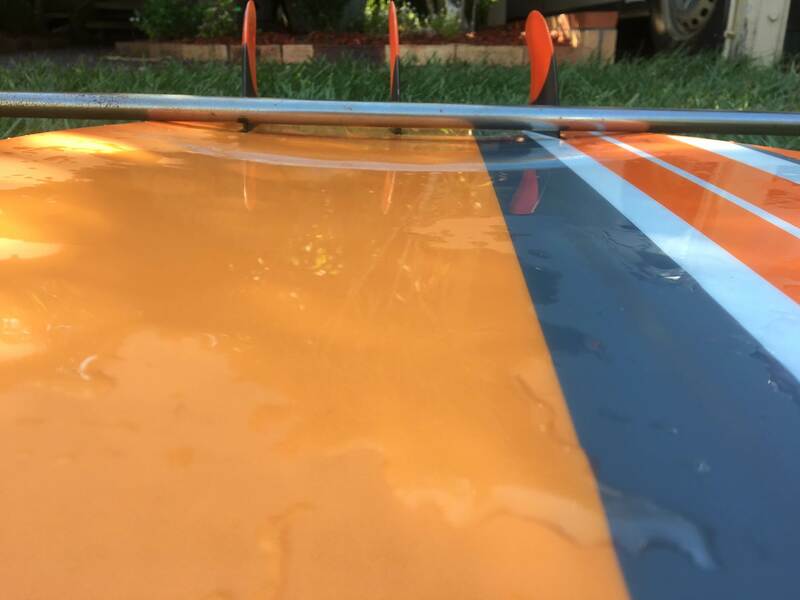 It will snap around reasonably well if you stamp the tail Or you can go full speed into a tight downloop carve, standing fwd using the rail /concave. Not chance of spin out, it feels almost over finned - so will be fun to see what combination losens it up for recoveries on the face..
Upwind referring back to the identity thing - its a machine and cranks very high into the wind and is nice to just do a few tacks and your ready to rip it up again. The few people ive let demo it - noticed it straight away. 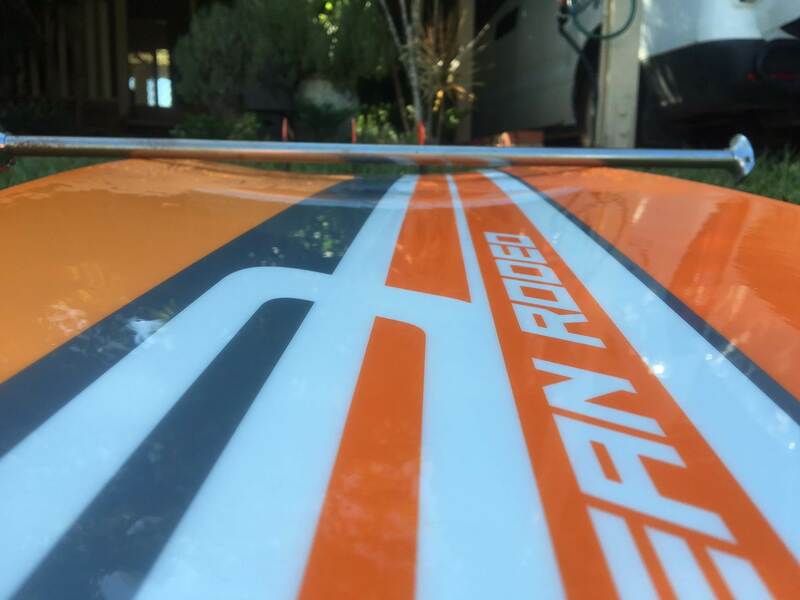 The deck grip makes sense, cut out for weight saving and lets you ride the nose if you miss you foot placement or a tack step. I like the orange styling, very easy to spot after a wipeout. Strength - Well im not the trickster yet but so far so good. , Landed a few 10m strapped jumps buttersoft ok, damn That TT stuff ha ha. A great light / medium wind wave fun board which would be great for either the learner or intermediate and equally at home on lakes or rivers too. The speed and upwind fun ability will give you the confidence to try a little harder and forget that walk of shame you see so many do with surfboards.. Thanks to Nigel from www.eastcoastkitesurfing.com.au who had my new board delivered from Canada to my door in 5 days - Cheers. I've got one too. Wish it was bigger, cos I need a lot of wind to enjoy it. Had a good session yesterday on it in 15-20 to 30 knots and 14m SB. I think maybe I finally clicked with it. I'm used to relying on the Dialer with all the volume under the front foot; the Duke goes better if I ride it more off the rear foot...I think. Also thought it was over-finned so played with the fin combos: no center fin means it spins out too much but is more tail flicky (hey I know what I mean) and the center fin only was...I forget. Not better, anyway. I bought a Futures Middle Finger fin (like a TT fin) so will see if that's a good compromise. Yesterday though, I was perfectly happy with the fins. Until yesterday, I didn't think it was much of a carver. Compared to the Dialer, it just didn't seem to want to go around. With a heavier rear foot (and shuffle it back) and more body lean to weight the toes, it carves really well. Must be all the foil riding changing my technique! Fast, yes. Upwind is ok, but I'm used to the quad (race board technique ) and higher volume of the Dialer. Ride it fast, don't choke it by edging too hard and it goes ok. Bottom end is not so good, like the Mako 150 I have. Have to try it strapped, sounds like a hoot. "Ollies" nicely but as it's light, it can easily get blown away from your feet. Initially I had trouble with changing my feet in tacks and gybes as its narrower under the front foot than the D but I seem to have cracked that too. Was wondering about cutting a hole in the future fin base and glassing in a decent TT fin - the finger fin looks very ordinary..
Kam - give the downloop slam a go,with timing it lets you lean right in and not pull you over..
Could always email them - see whats on the drawing board ? No, theh did surfboards for ages. Traditional shape; a quad and a bigger thruster. 5'8" and 5'10" IIRC. The Duke is promoted as the first directional designed for kiting, rather than just a beefed up surfboard. It's not a light wind board, so if ridden with some power in the kite I think you'll be ok. Get a demo...but it is a different feel to regular surfboards, eh, so be prepared to adapt. Whats the rail to rail crave like? 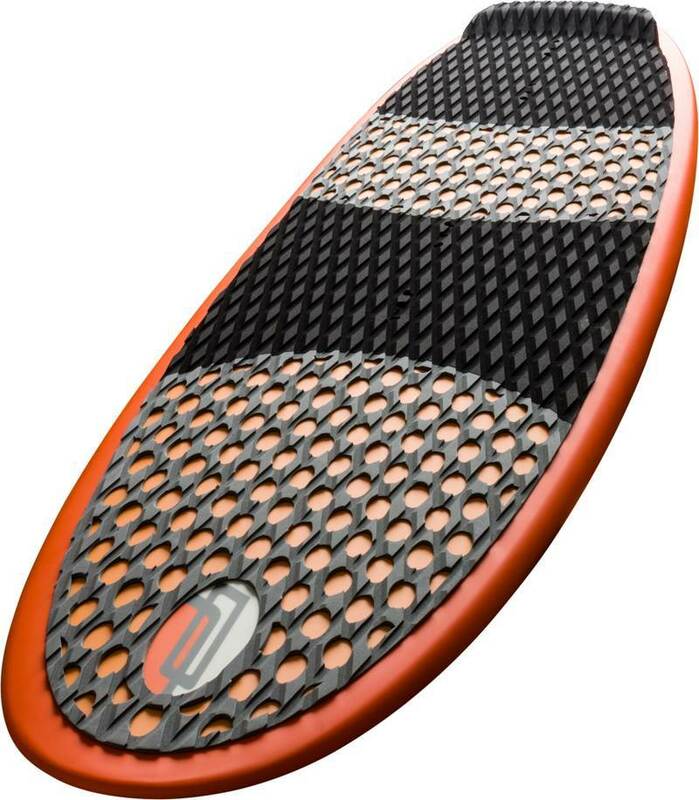 is it seamless more like a surfboard of poppy more like the mako 150? I was mostly just speculating as I already have quite a healthy quiver of directionals and won't be getting anymore soon, I do like the concept though. Plummett - The concave is about 15mm in the main section full rail to rail, tapers off to around 10mm at the fins, then all but zero right at the tail. Ditch the rear strap and get your foot on the rear pad kick to drive. Toughness, I have been using this board since January 2015, so it has had some abuse, so far all good touch wood. No leggy so tumbled in on the beach a lot, and so far no heel dents in the deck, just one indent in the bottom where I landed on the board with my harness but it did not damage the rampart skin layer.